An Air conditioner repair in Sherman Oaks can make your house your home again. When an AC unit breaks down during the summer months, it’s not just unfortunate – it can be dangerous. You and your family’s health is on the line. There can be dire consequences to the heat. Sure, throwing open every window and having several fans blow in your face will cool you down a bit, but it’s not a lasting solution like AC repair is. 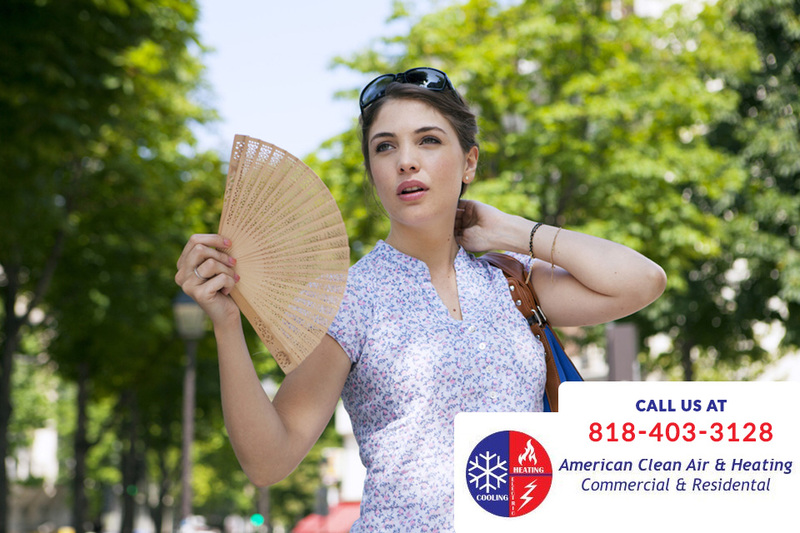 When you’re ready to make the call for that cool breeze, reach out to the pros at American Clean Air & Heating. There are many different makes, models and brands of air conditioners. That’s why American Clean Air & Heating’s employees are trained to work on many different kinds of air conditioner. From the ultra modern air conditions that have all the amenities, to old, dependable machines that have finally begun to break down; they can help with those kinds of air conditioner repair jobs as well as anything in between. There are many different things that can go wrong with an air conditioner unit. It can be something obvious, like a wire burned off at contactor or disconnect, or it can be something as subtle and unnoticeable like a condenser fan motor shorted to ground. Other common concerns include defective thermostats and connectors, grounded compressors, a beaker that was so weak it can’t do the job whatsoever, and a burned out transformer, just to name a few possibilities. Fortunately, the experts at American Clean Air & Heating air conditioner repair in Sherman Oaks can fix all of these ailments and more. No matter where you live, dirty air can filter into your home. You can try to ward it off or keep it at bay, but it finds its way in. 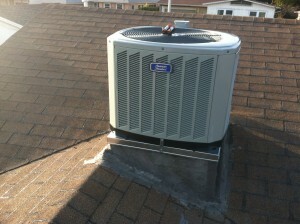 That makes it all the more critical that you have an air conditioner repair in Sherman Oaks company that you trust. You need to know you have someone on your side who can go the extra mile to get rid of bugs, mites, pollutants, molds, allergens or any other kind of debris that would make a home owner (and by extension, their family) unwell. American Clean Air & Heating can clean any air filters, vents or major components so that you and yours are always breathing clean air. One of the best things about American Clean Air & Heating is that they can fix your AC when you need them to. They’re always on call, so they can help you to feel comfortable and chill again as quickly as possible. They have extensive experience with the major air conditioner brands, but they also can fix the lesser known ones, too. 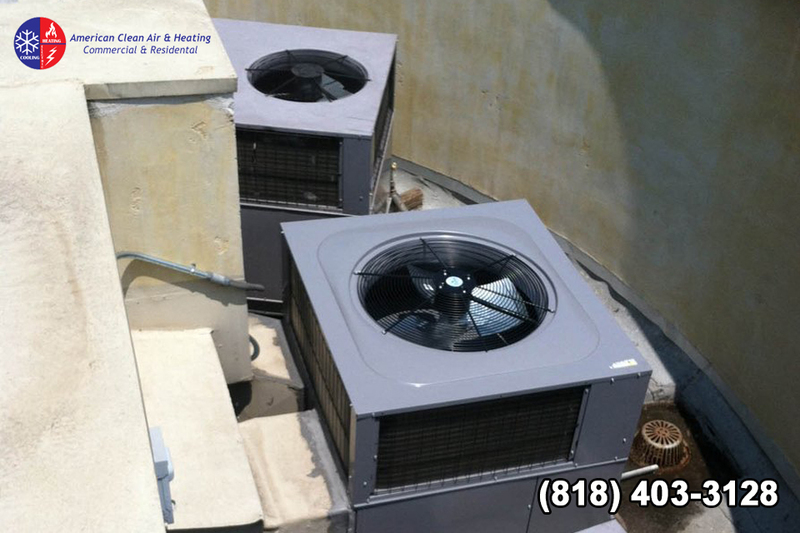 To get the full of scope of all the services offered, call (626)-387-3040 or go to their site to see what the best air conditioner repair in Sherman Oaks is. Do You Need Heater Repair in Glendale? While the summer weather is here and you can expect the heat and humidity typical of a California summer, you still should have some concerns about your furnace. Your furnace is going to get work no matter what time of year it may be, helping to keep your hot water hot so that you can take showers and baths, wash your dishes, and perform other household duties. 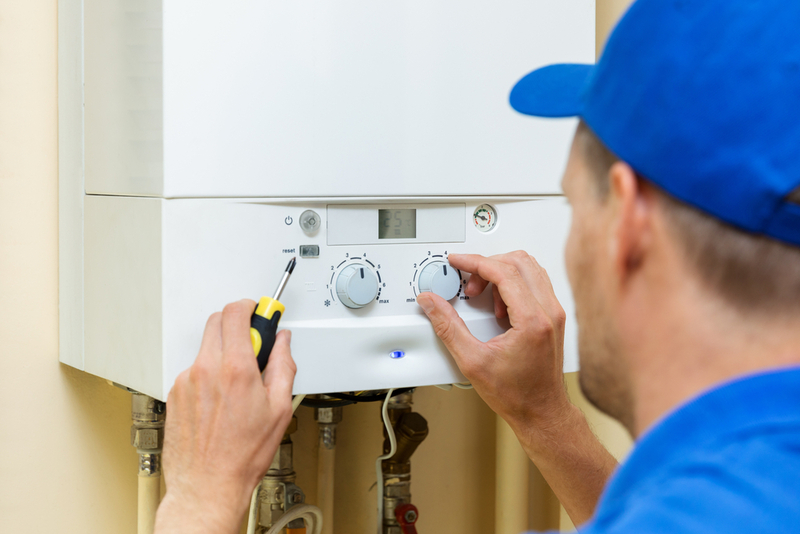 If you have noticed that something does not seem quite right with your furnace, heat, or hot water, you may need to look into getting an inspection or repair work done . 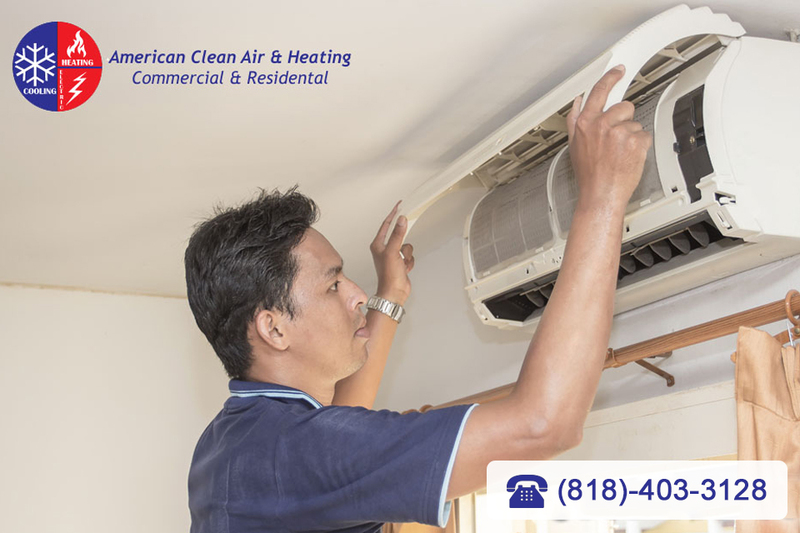 If you need heater repair in Glendale, know that you can turn to us at American Clean Air and Heating for assistance. If you have concerns something may be wrong with your furnace, you do not want to hesitate about getting it checked. Problems and issues will not simply go away on their own, and what starts as a small issue can manifest into a large one fast if it is neglected. What may have cost you just a few dollars to fix can end up as an expensive repair or even a replacement of your furnace, costing you thousands of dollars. Having a professional service like ours in to check your furnace and diagnose the problem is the best decision you can make. Even if you do not think you need heater repair in Glendale, it can be a good idea to contact us at American Clean Air and Heating so we can make sure your furnace is working properly. Our technicians are experts when it comes to performing inspections and maintenance of your furnace. We can come to your home and look at your furnace, no matter what make or model it may be and provide you with cleaning, maintenance and checks to keep your furnace working at its best and most efficient. 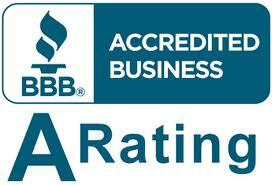 Getting heater repair in Glendale is as easy as phoning us here at American Clean Air and Heating. You can call us at 818-403-3128 so that you can schedule a service call with us. We will be glad to supply you with a free onsite consultation and estimate for any work you may need so you can see just what needs to be done and what the work will cost. We will provide you with the honest, reliable repair work that will keep your furnace in top shape. It can be very easy for you to overlook taking care of something like your furnace. Most of us simply take for granted that our heat will come on nicely when the weather is colder, and the furnace will work just fine. You may even forget about getting regular maintenance for your furnace each year, thinking that it works fine so there is no need for it to be checked. An approach like this very often leads to inevitable failure of your furnace and can cause the need for you to have a repair service come out to help you. You need to know where you can turn to for maintenance and good furnace repair in Burbank, CA so you can be sure your furnace works as it should. If you have never had to call a repair service before, you may not be sure where to turn for the best help. A good place to start is by speaking with neighbors, family or friends in the Burbank area so that you can see who they may have used for maintenance and repair work. You can find out which companies are thought of highly by those you know so you can discover who to call. You can also try checking on the Internet to see which companies are readily available in your area and read how they are rated by other customers. An important part of knowing where to go for furnace repair in Burbank, CA is that you hire a company that knows how to properly identify furnace issues and problems. You want a company that provides courteous, experienced technicians that can look at your furnace and see the problems as quickly as possible. The faster you can get problems identified, the faster they can be worked on and solved for you. To help keep your furnace working as it should, you want to call us at American Clean Air and Heating when you need furnace repair in Burbank, CA. We offer expert service to help with the maintenance and repair of your furnace, no matter what type of system you may have in your home. You can call us at 818-403-3128 to schedule an appointment with us and get your furnace repair done to help keep your home warm and comfortable for you and your family. Even though you live in Southern California, it does not mean you will not see days where the weather gets cold, and you need heat for your home. The winter months are not far away right now, and it will not be long before the possibility of cold weather is upon you. If your heating system does not work properly when the weather gets cold, you run risks to the health of your family and even the possibility of causing damage to your home with a broken furnace or frozen pipes that burst. It is important that you know now where you can turn for furnace repair in Burbank, CA that you can rely on. Now is a good time for you to get maintenance for your furnace so you can stay ahead of the cold weather to come. You can have a service like ours at American Clean Air and Heating come in and look at your furnace to make sure it is operating properly. We can check everything over, perform a cleaning of your system and do any needed repairs or maintenance needed now so that you know your furnace will work well in the winter. When you need furnace repair in Burbank, CA, you want to know you have a service you can turn to that has a quality reputation of doing good work. Here at American Clean Air and Heating, we are fully licensed, bonded and insured and use expert technicians for all our service calls, so you are sure to get someone at your home to help you that knows what to do. We use the best tools and technology available to perform all the repairs we do and will always provide you with a free estimate before we do any work, so you know what to expect. If you know there are issues with your furnace now, you want to act and arrange for furnace repair in Burbank, CA with us here at American Clean Air and Heating. You can give our office a call at 818-406-6000 to schedule a service appointment, and we will get a technician out to you as soon as possible to do the work for you. When you know you have a trusted service to help you, you will know your furnace will help keep you and your family warm and comfortable this year. You have arrived back at home after a long, hot day in the office and are really looking forward to the relief that will be provided in your own home by your air conditioning system. For the entire ride home all you can think about is how cool it is going to be to relax in your living room with the AC on as you have a cool drink and watch some TV or listen to music. You come through the front door and run to thermostat, making the adjustment to make it cooler, but it seems to take a long time for the system come on and when it does, it may take hours before the room is cool. What could be wrong? What you need to do is find an AC company in Glendale that can get to you to take care of the problem. If you have never had any trouble with your system before you may not even know the name of a good company for you to call to help you with any maintenance or repairs. When you find yourself in a situation like this the best thing to do is try to find a highly recommended, experienced and licensed air conditioner repair company to call that can provide you with the help you need. It is important that the service you choose is properly licensed and insured for your protection and they have experience dealing with all types of systems both old and new so they will know just what to do when they arrive. You want to choose a professional service that can provide you with everything you need for repairs, maintenance and even installation should a new system be needed. You should ask locally for recommendations and speak to the company directly over the phone so you can discuss your concerns and find out about the services they provide. Naturally you also want a firm that provides you with fast, professional and courteous service to help you get your system back up and running the way you need it to be. When you get an AC Company in Glendale that you can really trust, you know you always have someone you can rely to help you with regular maintenance and repair. You will never have to worry about coming home to problems with your AC as long as you know who you can call to keep your system running smoothly.